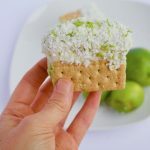 Key Lime Pie Homemade Ice Cream Sandwiches — A sweet and creamy dessert recipe made with simple ingredients and no added sugar! And a very happy September to you too. Straight up CRAY that we are already in fall territory. But for now, I’m still fully loaded in summer mode. …Especially since pie and ice cream are invited to this party. I friggen love ice cream sandwiches. I’ve said it before, and I’ll say it again. I could eat one every single day (after my dream meal of a bomb salad, apple, and peanut butter covered carrot) and be a very happy gal. Yet nothing takes the cake (or ice cream?) 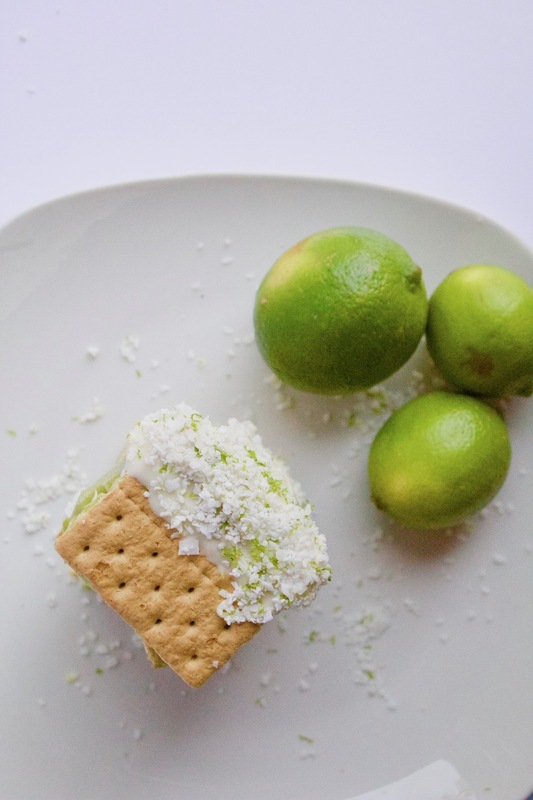 on summer ‘zerts quite like key lime pie. 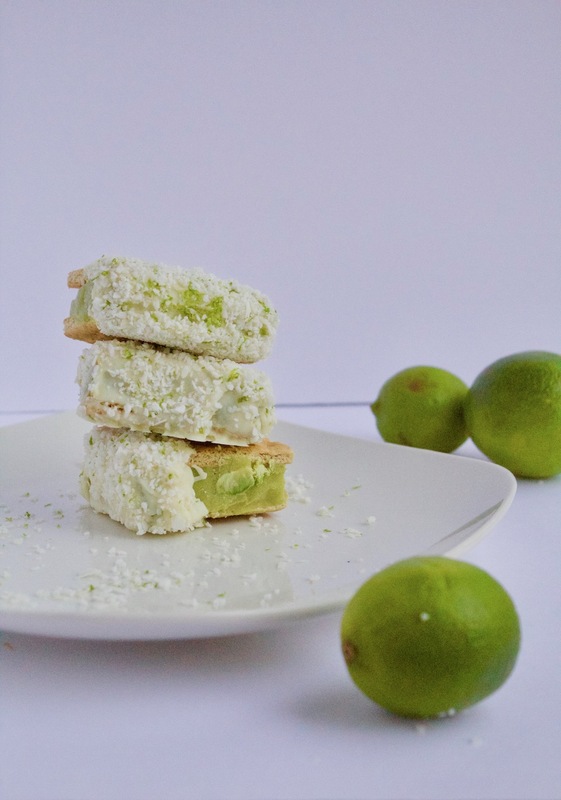 If I could take a forkful of mid-July sunshine sprinkled with beach trips, and a drizzle of relaxation, it would taste like key lime pie. Wedged in between an ice cream sammie? Now. We. Talkin’. Way back in the ancient times of the Sinful Nutrition youtube channel, I made an ice cream out of bananas and avocados, and fell in love in a hopeless place. So naturally, I made it into a sammich. Now even though there’s no sugar added to these babes, they are sweet as the dickens as is. Plus they’re dipped in white chocolate…so there’s that too. BUT..since there isn’t too much fat added to them, these freeze up mighty hard. Please for the sake of your front teeth and your eating pleasure..LET THEM THAW. A simple 10 minutes on the counter before you eat is all they need. 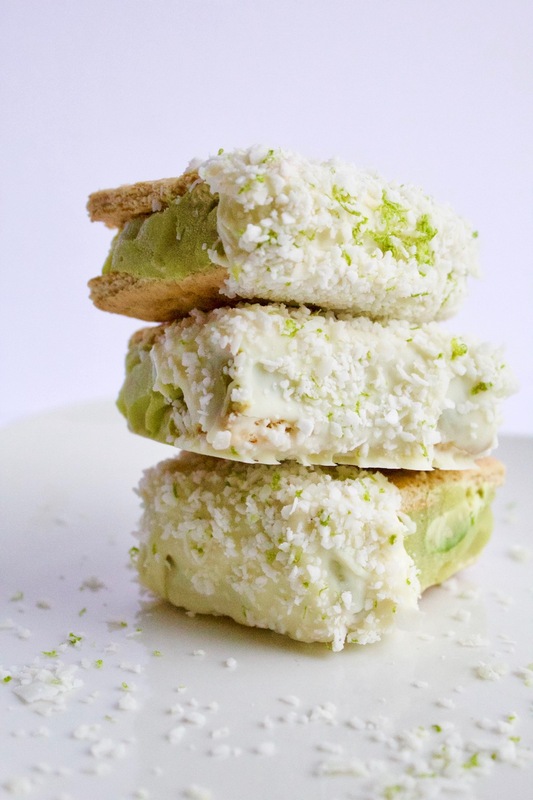 In the bowl of a food processor, add banana, avocado, almond milk, lime juice, vanilla, and one teaspoon of lime zest. Transfer for freezer-safe bowl, and freeze for 1 hour. Break graham cracker sheets in half, and spoon ice cream mixture on half of all graham crackers. Top with remaining crackers, and tightly wrap each sandwich with plastic wrap. Freeze for at least 30 minutes, or until firm. Place chocolate chips in microwave-safe bowl, and heat 30 seconds at a time, stirring until melted. 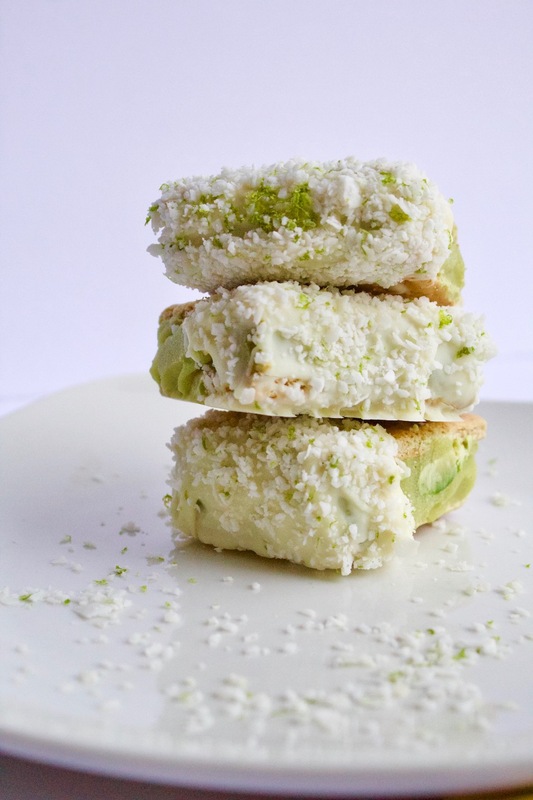 In a small bowl, combine coconut and remaining lime zest. Remove sandwiches from wrapping, and dip each sandwich in the melted chocolate. Serve immediately, or transfer to cooling rack, and place in freezer until chocolate is firm. Wrap each sandwich in plastic again, and freeze until serving. Let sandwich thaw for at least 10 minutes before eating. Make one of my recipes? Use the hashtag #SinfulNutrition to share your creations! What dessert could you eat every day? What’s your favorite dessert of all time? 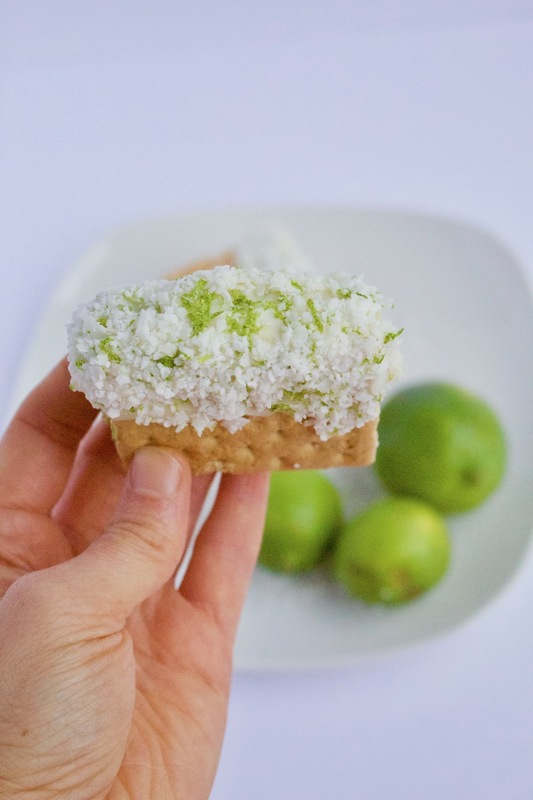 These look like a perfect dessert for the final days of summer! What a great idea for ice cream sandwiches! I love that they are really “nice-cream” sandwiches! Great recipe!